The Federal Pain Management Best Practices Inter-Agency Task Force held the first of a two-day meeting in Washington – and the voice of the chronic pain patient was heard early in the day. That’s because the public comment period of thirty minutes essentially started the meeting. While several spokespersons – from the American Physical Therapy Association, the American Occupational Therapy Association and the American Medical Women’s Association – made their organizations case – it was the voice of the chronic pain patient that rang loudest in the public comment period. But it was his colleague, Trina Vaughn, a chronic pain patient, who made the strongest patient point. The Task Force was established after the Comprehensive Addiction and Recovery Act of 2016 to propose updates to best practices and issue recommendations that address gaps or inconsistencies for managing chronic and acute pain. Two Texas Republicans, both members of the House Rules Committee, made remarks. Congressman Pete Sessions of Texas urged the task force to “take all the time you need and then make a quick decision” to address what he termed the dreaded opioid problem. The Task Force noted they have received 3000 comments, mostly from chronic pain patients (83%). We will see Wednesday what the recommendations of the Task Force will be. Long before the “Opioid Crisis” was affecting the mainstream, the bodily rights of disabled patients were violated in the most horrific ways. For example, surgical procedures w/o proper anesthetic, being restrained during painful procedures, yelled at for crying. Surgical procedures on my Hidradenitis Suppurativa lesions were poorly managed in an ER setting with only IV Adavan administered. The incisions to my left axilla were 1/4cm deep. I was struggling to breathe through the pain and was panicked from the effects of the Adavan. The attending MD walked me through a “Buddhist Mantra Meditation” as a “pain relief” method. my spouse reported on my behalf to the Summa hospital advocate. Im autistic & have verbal barriers, this is why I couldn’t do so myself. I think our reports were disregarded due to my communication barriers. This was through Summa in Akron Ohio. After a Medical discrimination and negligence incident Cleveland Clinic, the Ombudsman didn’t take us seriously UNTIL my spouse divulged that I recorded the incident w/ my phone. Then, representative filed our report. Our complaint (my spouse attended with me)was that the MD ignored the reason I was there for an ER follow up: continued UTI symptoms after 2 kidney infections, & she wrote in my chart that my pain due to my autism and mental health issues. Even though she did NO urinalysis or physical exam yet ordered an xray of my lumbar & lied about performing a physical exam in my chart. She had more of an issue w/ my forearm crutches (she questioned my needing them) than the fact I kept getting recurring kidney infections. Disabled patients need more advocacy in filing reports. It seems as though the barriers exist so as to make it more difficult. Cleveland Clinic at least had some follow through. Patients have to audio record their medical visits because they aren’t initially believed. In June of 2017 Chad Broderick shot and killed two at a Las Vegas pain clinic when denied care, and was killed by police. Essentially suicide by cop, with a statement. I guess he was tired of being tortured. I guess his pain clouded his judgement as to who his actual torturers were. The government needs to let the Dr’s practice medicine, after all that’s what they went to school for. Don’t we have a law about practicing medicine without a license. The situation now ,causes patients in severe pain to suffer more. The ones using drugs illegally will find a way to get them. Please consider patients with chronic pain and how these rules affect us. This war that this current administration is waging on pain patients, their prescribing physicians, and pharmacists has no affect on the criminal drug addicts, who get their drugs illegally. It only affects the innocent suffering pain patients and their families who have to watch them suffer in hell. This assault on pain patients has severely impacted a family member with neuropathy, and even extended to my senior dog. My family member cannot sleep, eat much or experience anything but hellish pain, due to this gestapo administration blaming and punishing those who are already suffering in hell. 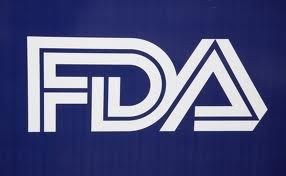 These drugs were FDA approved and intended for pain patients, who are under the care of their doctor. They weren’t manufactured for criminal drug heads to abuse. Legitimate pain patients, their doctors, pharmacists, and our pets have nothing to do with the out of control drug heads who choose to kill themselves. Our government has chosen to place the consequences of their lawless actions onto the most vulnerable and suffering in our nation. The criminal drug addicts are free to abuse their illegal street drugs, while our family members and pets are cruelly punished. This government has abused it’s power to come between we the people, and our physicians who treat us, and our right to healthcare in this nation. This government has overstepped it’s bounds, and is now nothing more than a police state. When I See My 77 Year Old Father Who Has Scirloses Suffers In Chronic Pain ! I Can’t Explain That Feeling Of Not Being Able To Help Him ! He Has Taken Pain Medication For 20 Years ! He Was Able To Function ! He Worked Construction His Whole Life ! ONE DAY He Feel Off A Three Story Building ,He Landed On His Knees Crushing His Knees And Damageing His Spine ! Why Does He Have To Be In Pain He NEVER Abused Medication ! Where Is The Sympathy When Your Government Says No You Can’t Have Your Medicine ! Do You Know What That Does To Somebody And Their Families ! Why Is The Government in Our Medical Establishment ! Why IS THE DR, PATIENT PRIVACY BEING INVADED ! Is This What This Country Has Become ! 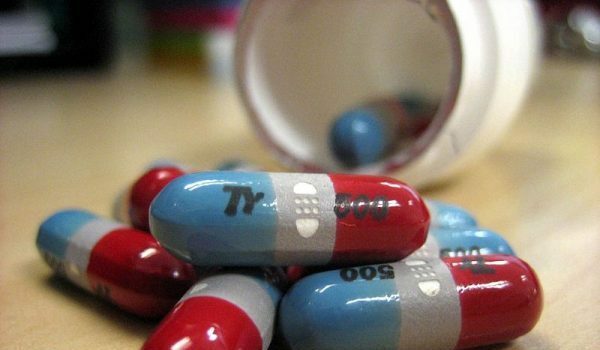 WHY DON’T The CDC GET INVESTIGATED FOR INFLATING The PERSCRIPTION DRUG DEATHS By 90 %. WHEN Did The Government Become DRs ,I Will Not Vote For TRUMP AGAIN ! ,I Thought He Would Help This Country ,I WAS WRONG ! I’ve been a disabled vet for over 20 yrs and on pain medications most of that time.I was in a Tank accident and suffered multiple burst fractures, wedge deformities, and list goes on. To make a long story short I shrunk 1.5 inches, spent a year in therapy learning to walk again, and then discharged from military.I received OK care from VA for many years using gabapentin, Ultram, and Flexaril. Out of the blue my doctors tell me no more meds for my pain and I would have seek pain management elsewhere. If anyone looked at my MRI or X-rays they would understand.My damaged vertebrae look like pancakes not like normal vertebrae. Burst fractures don’t heal back to normal.The numerous pieces that broke apart fuse back together which looks like some jagged nightmare and then that’s it. Your stuck with it for life. I’ve got bone spurs that hit my spinal cord when I bend over or move certain ways which cause my back and legs to go numb. Most days I don’t even want to get up because I know its going to be a bad day. The worst part now is we have a 16 month old boy and I can’t even hold him or pick him up. The best I can do is sit in a chair and let him sit on my lap. Its like I’m watching my families life go by and I’m sitting on the sidelines watching it. I wish one of these decision makers would spend 24 hours in my shoes and see what its like being a PRISONER IN YOUR OWN BODY!!!!! If I didn’t have a new born son I would not be here writing this if you know what I mean. I’m ready to throw in the towel and give up.This really makes me mad. I have a 10yr old Labrador Retriever that is retired from the Sheriffs department (drug sniffer) that has hip dysplasia and he gets better pain management than I do. He goes in once a year and all I do is call in his Rx each month, no pee test, NO Copay,or Dr. visit. I just phone in refill and pick up.Here’s the best part he is on Ultram and gabapentin. Same Meds I was denied by my pain management. Please Tell me how that makes any since? There is a large issue not being addressed with chronic pain. Untreated chronic pain leads to neurocognitive disorder (aka dementia). I have had CRPS since April 2015 and I have not had proper pain treatment. I was just able to get a pain management doctor to see me last February. I am only allowed qty 30 of 50mg tramadol every month and he wants me to stop taking that even. How much torture do we need to go through? I was just diagnosed with dementia from pain last week. High pain levels with crps cause many of us uncontrolled blood pressure which contributes to further complications. My brain is literally dying from pain. Something needs to be done to prevent this. Dementia is expected to increase drastically by 2050 to 115 million people. It is an extremely expensive condition from what I have read. Cyndi, great analogy!! Will the government start an euthanization program for those of us LEGITIMATE patients and doctors?!?! When a dog or cat is in pain, you don’t say oh sorry. You give pain control. When the pain is terminal for the pet they will euthanize only if you agree it is suffering. Yet they reduce humans who are in pain every day. Will make us suffer until we die Without proper pain medication. So what we are doing is, treating our pets better than we treat ourselves. Give the doctors back the control, they know me you don’t! With my newest lowering of pain medication, I am now stuck into my bed, suffering. I can no longer wash myself, do the dishes, daily living stuff. Absolutely bull . I live with chronic pain everyday. I have Fibromyalgia and polymyalgia rheumatic, plus arthritis really bad. My family doctor and his associates are deciding to do away with pain medications all together. I get treated like a drug seeker. I get piss tested every month I have my pcp appt. I have never asked for more medicine, i have never lost or said someone stole my medication and i dont give my medicine to anyone else. What i get i have to live with. My pain is so bad at times all I want to do is cry. I have thought about putting myself in my car and driving off a cliff or i have thought of putting myself out of my misery and ending this pain altogether. But I won’t do that to my family. I love them too much. So I deal with the daily chronic pain. 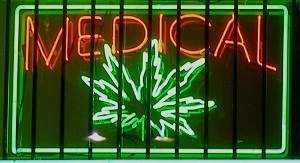 I have thought about medical marijuana but I am not giving up my licenses to carry. I am on social security disability due to my chronic pain. I have worked since I was 16. I want my life back. I want to get a part time job to help contribute to my household. But without a pain medication I can’t manage to be myself again. Something has to give. I am just ready to smoke weed and get on with my life. I am a 60 year old mother and grandmother. I lived a very blessed and productive life. I have been on pain management for 7 years and the 4 years have been on the same regiment with no side effects. If I am not able to work. How am I supposed to live?! Our doctors are so scared to write a script because they will take his license! There are solutions to the drug problem we have in the US. But you are targeting the wrong people! We, the people that take our medications as prescribed, never sold any of my medications are being punished for the drug dealers and drug abusers that will get their drugs no matter what laws you put into effect! There are solutions to the drug problem we have in the US. But you are targeting the wrong people! We, the people that take our medications as prescribed,don’t sell any of our medications are being punished for the drug dealers and drug abusers that will get their drugs no matter what laws you put into effect! I live with abs almost frozen with adhesions and groin nerve damage from 30 years of misdiagnosed shingles. We have enough stress with our pain and shouldn’t have even more stress having to fight for our pain freedom! Listen to real people in real pain! Who is benefitting from the current policy? Not the chronic pain parients. Not the addicts. So why was this pushed? Insurers are reaping the benefit of reduced costs. New patented and surely expensive meds are being pudhed thru the FDA. The companies that oen those patents would have a difficult time selling them if cheaper and safer remedies are available. Solution? Get rid of the cheaper safer old meds. There was way too much sound and fury over opiod overdose numbers which were not representative of the prescribed population or prescribed numbers. Every script filled for an opiod in this country can be tracked by the prescribing physicians DEA number. Anyone with half a brain can see rigged info, rigged panic, rigged publicity. Just to have an urgency to solve a nonexistant problem with laws interfering with how drugs are prescribed. Somebody is wagging the dog and those somebodies are all about money. I am in great pain .But my Dr. Who wants to install a pain pump says it has to be done because the DEA wants it or he might lose his license . No thanks. So now I don’t receive any meds thanks again for our government . Sorry but it’s being abused by middle class children in Suburb s. No one cared about it when the inner city citizens were overdosing now we have programs for all of Americans. Something seems wrong. When white children overdose and our government now wants to rescue our American children. But had no responsibility for inner city youths when they were overdosing now there’s plenty of help thanks to the Senators and Congress. I live in intractable pain. My life is spent in bed since my medications were taken away. I have been treated worse than a dog since I’ve become ill. 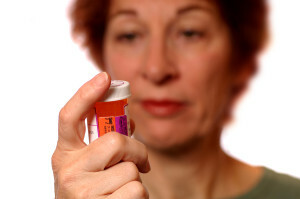 Some people only gain mobility and a semblance of normalcy with the use of pain medications. I want my life back. Let doctors be doctors…and patients be patients. Many of us will die left untreated, this is gross negligence. Quit classifying heroin addicts as part of the opioid issue. I’m a chronic pain patient, and if they decide to take me off, I would most likely commit suicide. My quality of life would be taken from me. Forced Taper. Buy who, this is still the United States of America. That is a violation of our rites ! This is really out of control. What happened to patient doctor privacy. US citizens are being bullied by bureaucrat. This is just wrong. This is just not making sence anymore. Something is going on. This is not about our well-being anymore if it ever was ! Very few of our goverment are medical professionals who truly understand how pain and opioids work. For one we DON’T USE to get high. Second we use them to relieve pain. Most of us don’t get high from the doses we use. As for the abuse factor. Hasn’t there always been addiction and If you’re not in pain don’t use. What about the alcoholic out there. Why not make alcohol illegal. As for Suicide it will increase as a result of lack of pain control. We are dependent, we are NOT addicts. My whole family was poisoned by carbon monoxide while on business in Denver. I developed Reflex Sympathetic Dystrophy as a result, which is considered the most painful condition there is. The pain is so intense it has driven my previously normal blood pressure up to 200/105, and opioids have literally saved my life because as the pain is controlled, my blood pressure comes down. There is no known cure for RSD at this point, but I want to be here when there is. Don’t succumb to the insanity of allowing politicians to take the place of doctors. They’re not really thinking about the suffering patient out here . . .they’re just thinking of what will make them look good inside the voting booth. Take back our government folks – this is not my grandparent’s country! I agree with all above! The government does NOT care about all of us who are in chronic pain, yes the question is “Why Not”! They are care about those who take any drugs, legal or not, who overdose. What about those who chronic pain is so bad, they gave up on life! It’s sad we think that way and most chronic pain patients have this thought, I’m one of them. Yes, I’ve thought many times of given up cause I can’t stand this chronic pain anymore. But, I think of my grandbabies, my babies, husband and parents! My family means the world to me and they have been there for me! My husband has done ALL the shopping plus run a business and 400 acre farm with 300 cattle. Bless his heart! I agree we all should ban together and sue the pants off those responsible for taking our pain meds from us. I have Retroperitoneal Fibrosis, a Fibroid Mass that shrank into a concrete like state in a 6×4 area in right adominal area, around aorta and vena cava which affects my right leg and started from peritoneal area behind L4 and L5 which causes inflammation in this area and damaged my right kidney. My doctor was forced to reduce my pain meds and then two months later totally took me off pain meds. He referred me to 17 pain clinics in 3 states but all refused me due to taking no new patients or didn’t know about my illness, which is very rare illness and not many doctors know about it. My doctor didn’t know but he has worked with me and we learned about this illness together. My Urologist and Surgeon knew about it, they seen it in the military so they worked with us. I’m very proud of the doctor I have and all the effort he has put in helps my me and his nurses who are wonderful. He did get me in to a pain doctor, who is in another state, who so far my husband and I are pleased with this pain doctor. Many may not have heard of a pain stimulator from Boston Scientific. I’ve had one for 11 1/2 years and it stopped working, so I’m getting a new one in a couple weeks. It works great and I still need pain meds but did not have to increase my pain meds. I agree all those in government should not be able to take opioid drugs and be drug tested. I bet there’s no telling how many are taking illegal drugs and are alcoholics. If we can take our pain meds, they shouldn’t be able to either. Anyone know how to start a class action lawsuit? Somehow we need to start one! Prayers for all chronic pain patients! I live with chronic, unrelenting pain daily. Both my spine and my neck are fused at two levels from a serious car accident in 2009. I have a rate generic kidney disorder AND also had heart surgery in 2017 correct a congenital heart defect, with continuing heart issues still. Add fibromyalgia and a mild stroke i line with ZERO pain meds! They are not worth the violations of my privacy or the horrible questioning I had to endure. Never did I fill my monthly med prescriptions for my pain meds when I did take them, sometimes 4 months went by before I used my 20 percocets I was “allowed!” No thank you. How terrible it is to live with chronic pain and Work and try to be a productive member of society, and someone else tells me the amount of pain I should live with after 54 surgeries? I’d rather die on my feet then on my knees begging for pain relief anymore. I am now using medical marijuana and couldn’t be happier with the results. The caliber of caring from the people on the cannibia community is beyond amazing. Kind and compassionate, helpful and loving. Sad commenterary on the state of pain relief in the medical community. You have failed MILLIONS OF PEOPLE. I too, was unaware of this hearing. I just now saw this story show up on my phone’s news feed. Having cut my ties to social media some years ago I don’t always know what’s happening with this battle and how I may get involved until it’s too late. Where can I go that isn’t social media (Facebook, Twitter, etc) to stay on top of what’s happening before it happens? If there were a “centralized site” where anyone could get info and updates I believe more than the 3,000 comments would have poured in before the hearing. I am finding out about rallies and hearings after they happen and I feel I’m not alone in this. And that’s one less voice to be heard and all our voices need to be heard. I want to know why pain patients ha e been a pawn in this so called war in the first place we ha e done nothing wrong nor are we a part of this opioid overdose epidemic this overdosing problem is coming from heroine users please leave us out of this we NEED MEDICAL TREATMENT AND YES THIS INCLUDES THE USE OF OPIOID USE AS WELL AS ,ANY OTHER MEASURES OUR DOCTORS DEEM NECESSARY CHASE THE TRUE PROBLEM. To Julie Hargreaves: Why does it have to take BECOMING a pain patient BEFORE YOU AND OTHER MEDICAL PROFESSIONALS CAN HAVE EMPATHY, UNDERSTANDING, AND COMPASSION FOR CHRONIC/INTRACTABLE PAIN PATIENTS?????? This is what is so sad and makes us despair of ever getting the Opioid medications that we need. If nurses and doctors (the very people we depend on for help), cannot put themselves in our place and remember the last time they experienced pain & then multiply that by minute after minute, day after day, month after month, year after year, then there is something seriously wrong with them. Why do people become nurses and doctors if not to have compassion and mercy for the sickest, most vulnerable in our society? Is it always about the money? My 91 year old Mother is an old RN who became a nurse because of her great desire to help the hurting. She told me when she was in nurse’s training, there was a nurse who withheld pain meds from a patient, and that when the nurse was in hospital with pain herself, another nurse who remembered what she had done to the patient, told the other nurses not to give her anything to teach her compassion! That’s pretty sad that this is what it takes to “wake people up” to the fact that pain is real and does not discriminate amongst us! What has happened to us as a society that we have become cold and uncaring for others? We treat our pets better than we do each other! Cindy. There was a link on previous articles concerning this meeting where people could leave comments and take a survey. They closed it last week i believe. They had to have time to get all of the feedback organized to present at this meeting. So hopefully this answers your question. applauding J. Hargreaves – beautifully said for all of us! I miss my garden too. My DIL is a doctor and I think until she met me and got to know me, she thought ALL people “in pain” were actually “drug seekers”. Mine was caused by the sloppiness of cancer surgeons who will never admit what they did. I am so scared of living without my pain drugs. I don’t think I could live without them. I am always in pain, but the difference in excruciating pain and bad pain is miles apart. Chris G – YES – let us have all these posturing, pontificating, smug politicians swear that they and their families will never be allowed ANY opioid narcotics under ANY conditions. EVER! IF they really want to cut down the deaths from narcotics, get HEROIN off the streets. Or at least SAY how many deaths are from street drugs. I do not for a minute think all these deaths are from prescribed pain medications. What is wrong with these people!!!?? Personally, I think street drugs generate too much money for too many people… police and courts and judges and rehabilitation clinics etc as well as the dealers. They don’t WANT to stop street drugs so they go after legitimate manufacturers? All those that don’t think that pain sufferers need pain medication, should start a law to stop the sell of all alcoholic beverages. The entire 2016 CDC “guideline” for opioid prescribing physicians was artfully done. One federal agency (A) claims the “guideline(s)” to be recommendations only and that all patients are to absolutely continue to receive “adequate”? care for pain management even if not….. an active cancer victim. 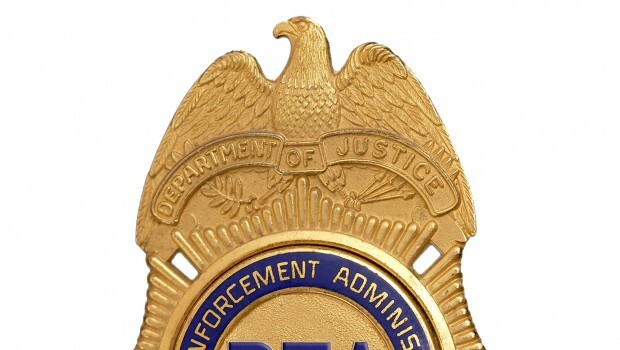 Another……DIFFERENT agency (B) (federal) ENFORCES, to the letter, the “recommendation” of the authors (A) of the recommended “guideline(s)” but, the kicker is that ALL physicians, whether small independent groups of doctors or physicians with independent practices and their staff is afraid to be “audited” by federal agency B because if ANY doctor that exceeds the daily dosage “recommended” of “morphine equivalent” of an opiate/opioid medication then that doctor or responsible doctor sooner or later, most likely sooner now with “e-scribe” now and with pharmacy participation, the doctor or responsible of others physician WILL be audited and all state medical boards or medical “officials” of EVERY state have “adopted” the 2016 CDC “guideline” as their own states “bible” for opiate/opioid medication prescribing.. When one doctor or just a “few” doctors are facing license suspension or surrender from their state licensing board, no physician is going to subject his or her livelyhood and license to practice for ANY amount of money made on all of their pain management patients………period. They would rather stop, prescribing opiate/opioid medication than to surrender their hard earned, costly license.A few examples have been made to a few physicians that did not immediately, or when TOLD to lower the dosage of medication to their patients regardless of any documentation or of any amount of benefit such as continued employment, enabled ability, or overall “better” life on a certain dosage of medication exceeding the 2016 “guideline” by CDC, THEN that doctor faces being possibly brought before the state medical board and worst case scenario “raided”, all files confiscated and the realization of license surrender becomes a definite possibility. It is to me…… a very intelligently “thought out” plan starting years ago by ? agency or agencies OR individuals, not sure. 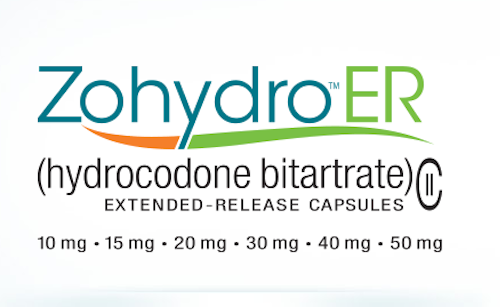 to reduce the number of opiate/opioid prescriptions written per year. To realistically help slow overdose? Where to from here?. Not sure. 30 minutes of “public” testimonials? Not good. Call and write your Washington reps,HHS, CDC, and FDA. This fight lost, other involuntary acts WILL be lost! So I read the whole post and I’ve come to the same conclusion that I always come to, the politicians are just putting on a show. They act like they really care about us chronic pain patients but never commit to actually doing anything. What I haven’t been hearing are the factual statistics about opiate overdoses. 2% of ALL opiate overdoses are from people with legitimate prescriptions, 98% are from people taking fentanyl or heroin, or both, and I think it’s mostly a combination of the two. So chronic pain patients are not the problem! Why is this so hard to digest?! Our doctors know that 98% of us are taking our prescribed meds as prescribed, we pass our monthly urine tests, we don’t run out of meds early, basically chronic pain patients are NOT part of the problem. Yet here we are, what we use to be able to do physically in the past, like completing day to day tasks, just normal life stuff, are not possible, not to mention the horrible pain, anxiety, depression and thoughts of suicide that we all have. This shouldn’t be that difficult, surely there is somebody out there, with a voice, a senator or congressman could get to the bottom of this and for God’s sake, restore the lives of millions of people, we really need a champion, but politically nobody wants to stick their neck out because the public views us as deviate drug addicts. If I could snap my fingers and make everyone feel what I feel, even for one day, there would be a public outcry!!! I’m afraid we’re never going to get our lives back and we’ll just have to accept that terrible pain is our future. Stay strong everyone, talk often about your pain and anxiety, keep emailing your congressman and senators maybe someone will listen. Use the real statistics in your messages, politicians love those stats. God bless all of my chronic pain brothers and sisters. Keep the fire burning, never give up, never surrender!!! After I wrote it, I clicked on the link (in this article) to the task force. An HHS page comes up with info about the task force, but with no info about how or when to comment. Then I linked to the page for the Office of the Asst Secretary — which is shown at the very top of the page. From there, I was able to get more info about the task force, but still nothing about how or when patients could comment. However, I did send an email to: paintaskforce@hhs.gov. This email address is supposed to be about nominations to the task force, but it was all I could find. I find that too many articles in this Nat’l Pain Report give enough info to get me excited about an effort or group, but then does not provide any contact info. And given that such contact info is not easily available online, at least to someone with my level of search skills, I find this to be quite problematic. I hope that future articles will contain contact info etc. Otherwise, far fewer people will be able to get involved in the fight. I also wish that there was a way to reply to comments here, so commenters could help each other. I was a nurse when my neck was injured. I like most in the medical field had seen patients in chronic pain and saw them as drug seeking. And then I was one of them. I worked hard all my life. Didn’t see myself ending up like this. I am fusrd from c2 thru c7, and rods are next. We won’t discuss the lumbar. Last year my pain management doctor cut my opioid down from four to three a day, things havent been the same. My 79 yr old mother has to help me weed the garden, put up and down holiday decorations, etc. In other words my function is less than ever before. My friends and family see me less and less. I do less and less. Now my doctor wants to decrease my meds again, because of new state and federal laws. I have a right to be as painless as possible. As a former nurse I know that medication are not the only treatment for.pain. Do people abuse theirs meds? Yes they do, sometimes. I’m disabled due to my condition, but the joy I used to take in light gardening and holiday decorating is gone. It’s too painful to do even those things now. What will happen if they do cut me down more? I’m terrified. You don’t know me and yet you are making decisions that are effecting me directly. You aren’t saving my life. Your destroying what is left of mine. I would have loved to send a comment to this task force, if I knew about it and knew how. Is it still possible to send comments? If so, how do I do that? THANK YOU to Trina Vaughn and all the others fighting for us in Oregon, and EVERYWHERE! We need to keep speaking out and fighting! I’ve contacted my state chapter of the ACLU because I am DONE and I want to SUE EVERY ORGANIZATION AND WHATNOT that I’m able to for Lack of Necessary Medical Treatment, DISCRIMINATION, Inhumane Medical Treatment, Punitive Damages, anything I can, CLASS ACTION, at least here in Nevada. I encourage each of you to do the same! We are speaking to people that obviously DO NOT COMPREHEND our pain and what we go through on a daily, heck-on a minute by minute basis, and thru are just throwing around ignorant fear mongering BS grouping Chronic Pain Patients into a group we DO NOT belong in! We need OUR DOCTORS TO STAND WITH US!! They are all too scared to do so! I dont know what ill be able to accomplish but I’m doing it for ALL OF US!!! I’m NOT a Criminal, an Addict/Junkie (those that do have an addiction to any sort of Opioid DESERVE Respect, Care, and Treatment too! ), I’m within all of the new ridiculous state laws, insurance limitations, having my meds held hostage by CVS, and I know my doctor is gonna want to cut me back MORE next month! No one cares about us anymore!! Let’s talk to these biased, ignorant, judgemental idiots in THEIR LANGUAGE-money and legal action!! 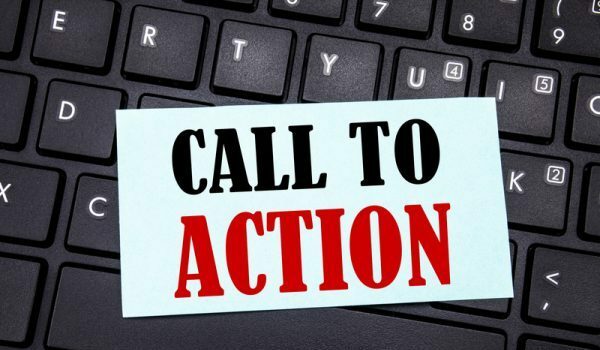 I want to ask all the politicians , in a public video taped session, that use the term “opioid epidemic “ to be asked if they are willing to sign ,right now, a binding document saying they and their families are under NO circumstances be given, prescribed or use opioid narcartics regardless of their perceived need or doctors recommendation . After all, they want to deny us, people with documented need and responsible user access. Let them participate in the solution. I would like every legislator sign a HIPPA waiver under penalty of perjury, if they are currently being prescribed, have been prescribed opioids, and be willing to be random tested on a monthly basis for legal or illegal use. Lets lead a news cycle with that. I watched the whole day except I missed about 1 1/2 hr’s. The fact that this draft will not be edited was disappointing, as it was for some of that Doctor’s who will vote it down. Hopefully it will be revised before Congress gets it. Otherwise it’s just a political sham. I also feel there were not enough patients who spoke. More time should have been given to pain patients. I will tune in today and share my thoughts. Also I made many notes on the meeting so I would not leave out talking points. Have the best day possible.